In Vanuatu employers could either hire directly or through an agent. 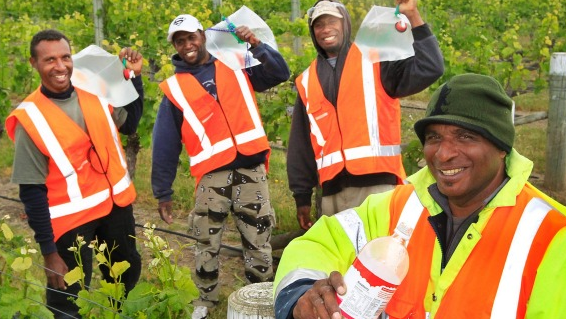 Direct recruitment is facilitated by the Vanuatu Department of Labour, which in the first year also used a work-ready pool of workers from walk-ins who have registered directly with the department. These workers were typically from the more urban areas. In rural areas, direct recruitment and agents relied heavily on community contacts through village councils, again using villages to pre-screen workers. In McKenzie et al. (2008) we study this process, and find that, similar to Tonga, agents and villages looked for people who were strong, hardworking, obedient, healthy, spoke English and were not alcoholics.